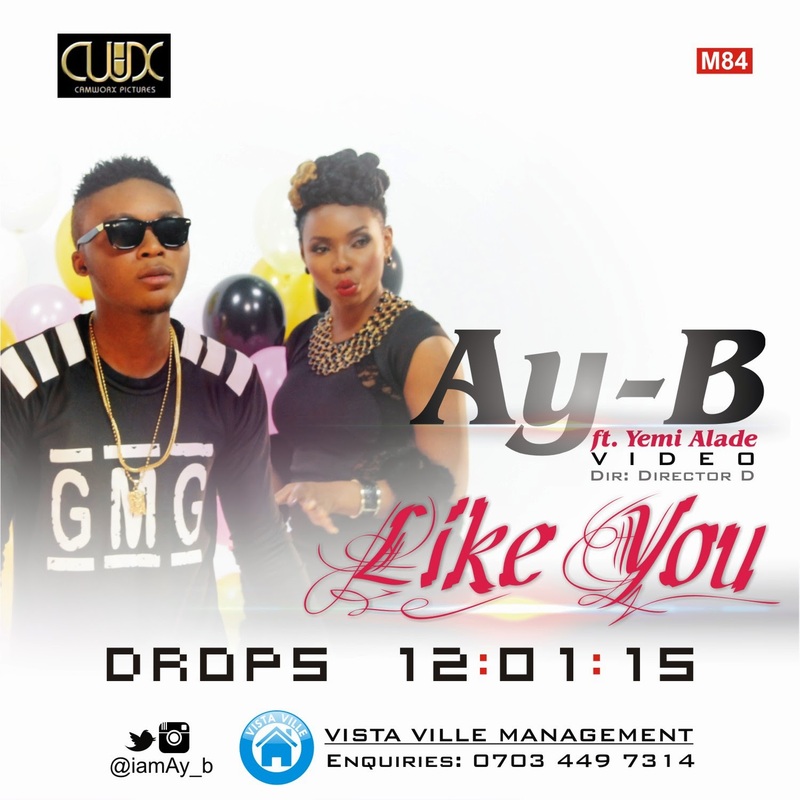 Vista Ville Ltd presents the long awaited video to the much talked about single of young and talented artiste, Ay-B, titled "LIKE YOU" featuring the celebrated songstress Yemi Alade. Released last year February to much success on radio stations and charts across the country and beyond, the video is set to achieve no less. Shoot and directed by Director D of Camworx Studios (the sister company of Micworx), the visuals are clear and exciting! But don't just take our words for it, watch the video for yourself, download it and share to all and sundry.